Proclaiming Abundant Love reminds us that we are people of the covenant, people of the cross, people reconcilied in the blood of the cross, and people of the cup. This mission can be celebrated in English, Spanish or both. Celebrating Unbounded Mercy reminds us that we are reconciled with ourselves, with our neighbors and with God, and that we are called to be ambassadors of reconciliation in our world today. Gathering at the Lord's Table reminds us of the gift that is the Eucharist and our calling to be gathered, to let the word of God speak to our hearts, to offer ourselves with the sacrifice of Christ, and to be sent forth to make a difference in the world. 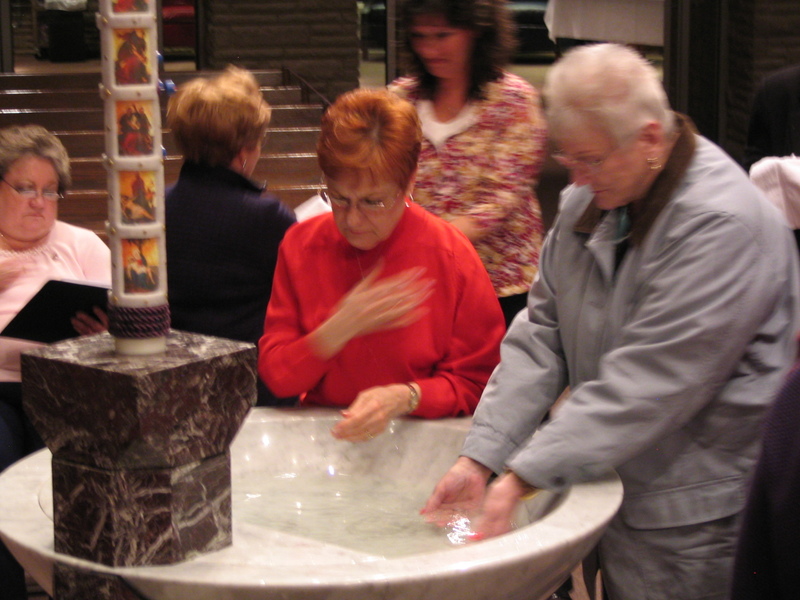 A Parish Mission - Beginning with preaching at all the weekend Masses, followed by four major celebrations - each about an hour and fifteen minutes long - with a special liturgy of the word and activity for children - usually celebrated four evenings in a row: Sunday thru Wednesday or Monday thru Thursday. A Weekend Retreat - Beginning r Saturday morning and ending with Mass on Sunday morning. The same four celebrations that would be part of the parish mission take place during the retreat. Precious Blood Parish Missions is delighted to partner with the Unbound - formerly known as the Christian Foundation for Children and Aging - a sponsorship organizations that links one person in North America with one person in one of twenty-four developing countries. Unbound does not see poverty, it sees potential in every person with whom it ministers. Unbound works with people in our missions in Chile, Colombia, Guatemala and Peru - so we support and encourage their mission in those places, too.